Are your students patient? I didn’t think so! 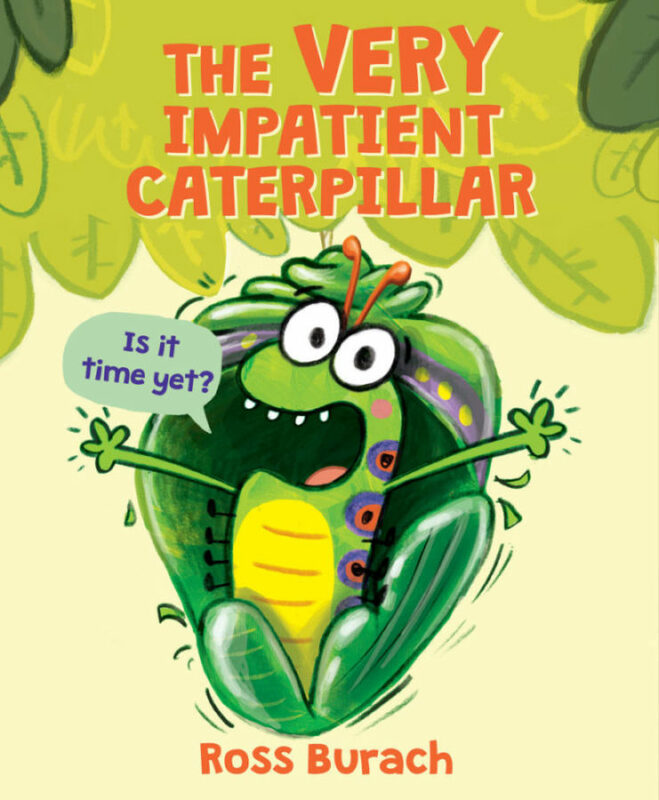 In that case your kiddos will relate to this book, in which an impatient caterpillar wants to become a butterfly. But it takes soooooo loooooong…. Can he do it? To enter our random drawing, submit a comment to this blog to let us know when you’re most likely to be impatient. (Update: Congratulations to Tracey, our lucky winner!) Send your comment by Wednesday, February 27; one lucky teacher will be randomly selected to win. The 2019 Dr. InBaeYoon Invent It Challenge has K–12 students dreaming up a new tool to enhance older people’s lives. Get all of the details at inventitchallenge2019.epals.com. Prizes include a trip to Washington, DC. Working on a class or school yearbook? This year try Shutterfly. You’ll get ready ready-to-use to-do lists, quick tips, sample yearbook pages, and more. 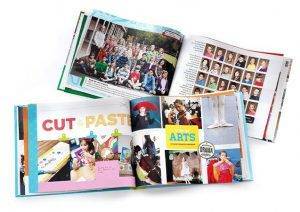 Yearbooks can be 20–111 pages. Take a look at shutterfly.com/yearbook. Help spread kindness throughout your school with free K–8 lesson plans from Kindness in the Classroom. 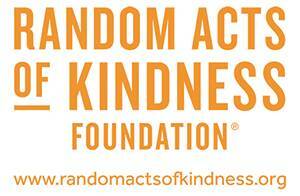 Download free samples or create a free account and get all of the lessons at randomactsofkindness.org. I could use a little more patience every day. The very impatient caterpillar may be my new hero! PS: Learning magazine now has a free digital mini-mag. Check it out here. When I am tired and crabby and have a million things to do. When I have to repeat directions 5 times to the same group! I am impatient when it is close to a vacation and my kiddos are going crazy!! I’m impatient when I am in a hurry and no one else seems to be. I am most likely to be impatient when I’ve been up late working on IEP’s for meetings the next day. I am impatient when a kid (or anyone) looks at you and you can tell they have not been listening to a word I’ve said. BTW I was just introduced to this book and it is HILARIOUS!! I’m impatient with an adult who doesn’t get what I’m talking about, but a student does get what I’m talking about. This book looks great for my class of kindergarteners. If I don’t win, I’m going to get the book! Waiting for my daughter to finish shopping! Waiting for all the kids at work to fall asleep so I can work on lesson plans during rest time. When the kiddos don’t have their listening ears on. When I’m trying to get their attention and it’s like herding cats, sometimes I get impatient. I am impatient when the public transport does not arrive on time and I am running late. I am impatient when staff members in my school do not understand that special needs learners do not access curriculum and social situations in the same way that typical children do. I am impatient when I am sitting in a meeting that could have been sent in an email. So much to do and they go on and on. I am impatient during meetings. I’m impatient when I’m hungry. I am impatient when I ask a child to do something and they turn into sloth mode. I’m most impatient in the morning when the kiddos first get to school and are still sleepy and in slooooowwwwww motion. I’m very impatient during meetings after school. I get impatient when I haven’t had much sleep and before coffee. I am impatient when my students have been in specials, and I have an incredible lesson all set up and ready to go. I can’t wait for them to cime back and see what they will be getting into! I would love this book for my Kindergarten class! Impatient when waiting in traffic! Waiting for winter to be over—finally!!! I am impatient when I am ready for lunch but my students are wandering un and out of line. I’ impatient when we have a short amount of time for circle before we have to go to an extra curricular activity and the kids are taking their time . I am most impatient when I have a million things to do and my children are taking their sweet time getting out the door. When I post directions, explain them, ask if anyone needs clarification and tell them to begin and a kid walks up to me and says what am I suppose to do!!! Or when my kids look at me and do something I just told them not to do it!! I get very impatient when I am finished in the check out line at the grocery store and my husband is still looking at things and reading EVERY label. I mean, what guy does that? I’m impatient when I’m waiting on line at the grocery store. I am impatient when food is ready at the table, and nobody cares! When something big is about to happen! I am most likely to be impatient when I am tired or hungry!